One can enjoy reading anywhere. 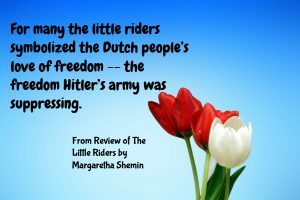 Before I started this blog dedicated to reviewing books, I wrote many book reviews on other sites. Some just share a few thoughts about the books, but others are quite thorough. I thought it might be useful to my readers to index them all here. I have tried to give a hint on the books’ contents beside most links if it’s not obvious in the classification what to expect. 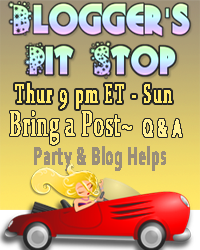 I am in the process of moving some of this work to this site, so if you see a title that isn’t a live link, check back soon and it may be in a separate post. Every Bush is Burning by Brandon Clements: A fictional look into the state of American Christianity today. Inescapable: The Road to Kingdom, Book 1 by Nancy Mehl: Can one really escape one’s past? This really kept me turning the pages. 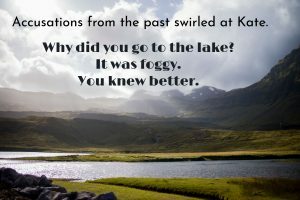 Untamed Land (Red River of the North #1) by Lauraine Snelling: historical fiction from the pioneering period. The Martian Chronicles by Ray Bradbury. This includes my story of how I met Ray Bradbury in an unlikely place. 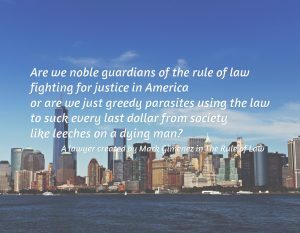 The Color of Law by Mark Gimenez This book gives readers a fictional peek inside the world of large law corporations and will show you why corporate lawyers have such a bad reputation. Detective by Arthur Hailey This is a first-class thriller with complex well-developed characters. It also offers insight into how police departments operate in large cities. 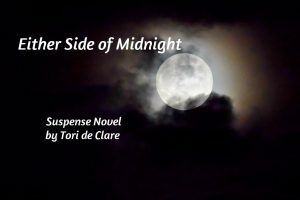 Either Side of Midnight by Tori De Clare: A Wedding Night Thriller: I give you fair warning – don’t start this book if you have urgent tasks to get done or if you really need to get a good night’s sleep. The Only Witness by Pamela Beason What’s a prosecutor supposed to do when a chimp is the only witness to a murder? Samantha Kincaid Legal Thrillers by Alafair Burke: Reviews of Judgment Calls, Missing Justice, and Close Case. Samantha (Sam) Kincaid is a Multnomah County deputy district attorney (DDA) in Portland, Oregon. Her first DDA assignment was in the Drug and Vice Division (DVD). I would recommend these novels to those who enjoy thrillers, and who can live with colorful language and main characters who have affairs or shack up. These books do not assume that all police and prosecutors are good guys. You will see a very seamy side of life, but that comes with the territory in detective novels and legal thrillers. Out of the Past: A Reed Ferguson Mystery by Renee Pawlish and Voices: Book 2 in the David Chance series by John Michael Hileman. I didn’t enjoy these, but your taste may be different. Why I Love the Midnight Louie Series by Carole Nelson Douglas: Meet my favorite feline private investigator and his favorite person. 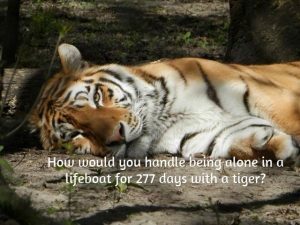 The Life of Pi by Yann Martel An exciting adventure of a man and a tiger in a lifeboat. 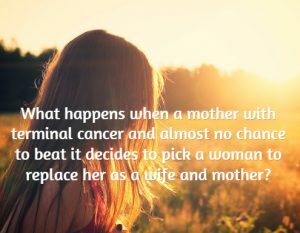 The Replacement Wife, by Eileen Goudge Sometimes the best laid plans backfire! 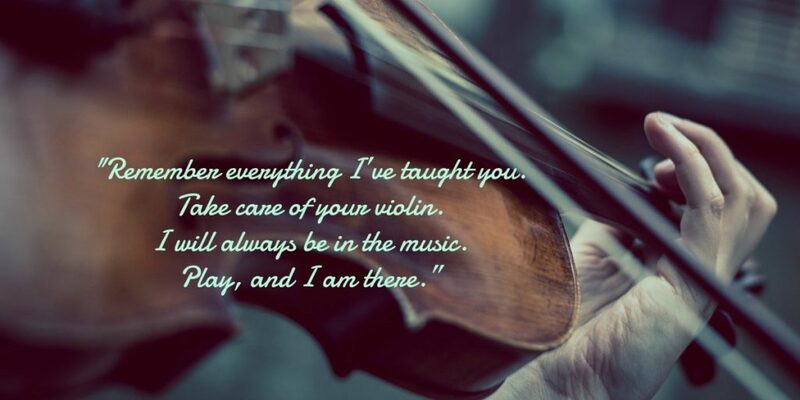 Review of Ayumi’s Violin by Mariko Tatsumoto: How love of music drove Ayumi to violate her conscience. How will she resolve her guilt? How I Learned to Love the Thornton Burgess Books: These were some of the first chapter books I read. 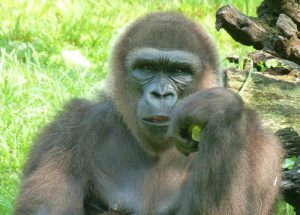 I loved how much they entertained me while teaching me much about the habits of animals. Artemis Fowl by Eoin Colfer: My review of a modern fairy tale/fantasy. The moral issues in the book intrigue me. Fowl is a child prodigy who had managed to steal, copy, and translate the Golden Book containing the rules the fairies had to follow. He wants the gold he believes the fairies hoard. He captures a fairy who has to abide by the fairy rules and he uses his knowledge of them to keep her imprisoned. Meanwhile, a fairy Retrieval team tries to rescue her. Bully! (The American Hero Series) by Ryan Stallings : Deals with grief, bullying, politics, and how Theodore Roosevelt helped heal a grieving father and son. Review of Bully for You, Teddy Roosevelt, by Jean Fritz, a novel for middle schoolers to bring Theodore Roosevelt to life. Stays true to the facts. Death and Dying in Children’s Literature: Walk Two Moons by Sharon Creech, After the Rain by Norma Fox Mazer and Out of the Dust by Karen Hesse. These some of the books for children and young adults that deal with death. Most are Newbery winners. 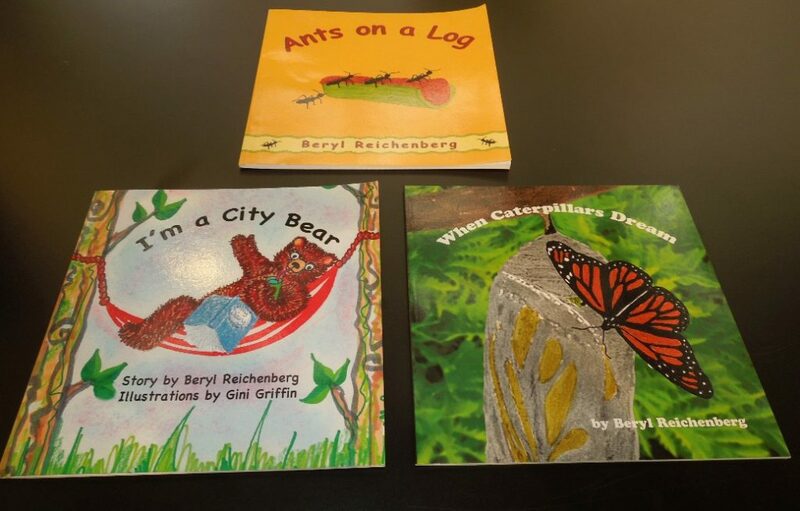 Meet Beryl Reichenberg and her Picture Books: Reichenberg’s picture books all have nature themes. 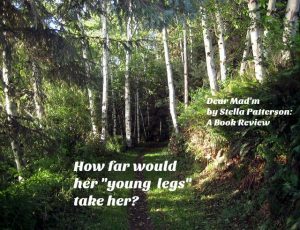 Her stories also relate to problems that many children have, such as fear of getting lost. Her characters are both human and animal. 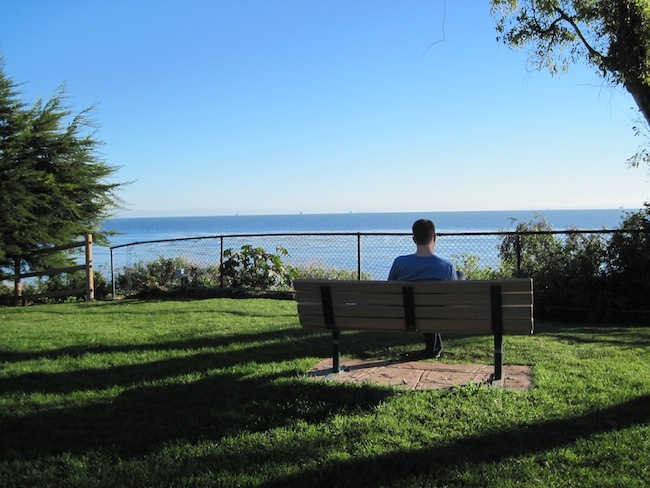 I review some of my favorites in this blog post. Meet Mr. Bear Squash-You-All-Flat: A Book Review Mr. Bear gets very grumpy when the moon is full, and so he goes out to squash the homes of the neighboring little animals. Here’s how they finally stopped the bully. Children love this classic picture book. 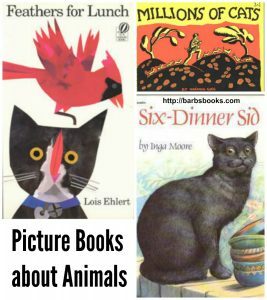 Picture Books About Animals: Animal stories appeal to children. These are some of my favorites. Picture Books that Encourage Reading: Read one or more of these to your children and they will soon want to learn to read or start reading more on their own. 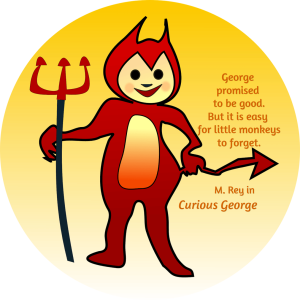 The Exciting Story Behind Curious George: Who doesn’t like the world’s most famous little monkey? Learn how he came to be the star of his own series of picture books. 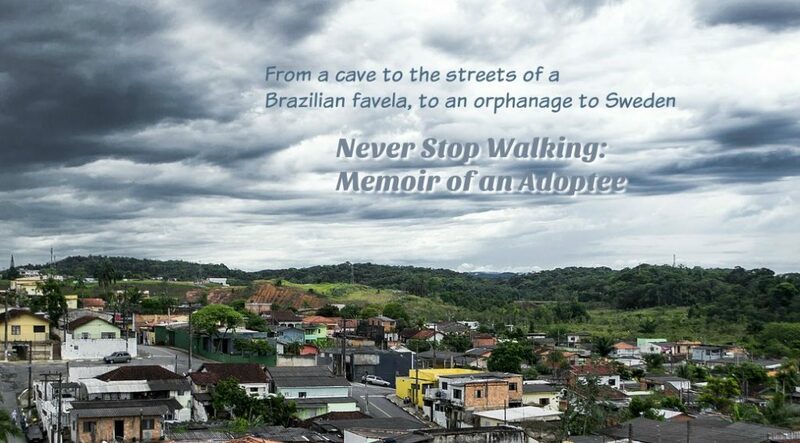 Never Stop Walking: Memoir of an Adoptee: A Book Review – From struggling to survive on the streets of a Brazilian favela to a life of material comfort in Sweden. Christiana deals with separation and culture shock after her international adoption into a Swedish family. Prepare for Surgery with Incision Decisions: A Book Review All you need to know before, during, and after surgery. 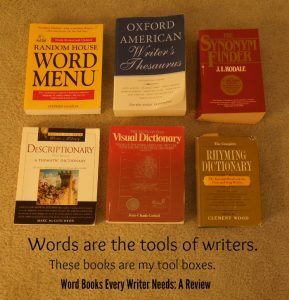 Three Word Books Every Writer Needs: Words are the tools we use, and these reference books help us choose just the words we need. Twilight in America by Martin Mawyer. Are there terrorist training camps hidden in the United States? 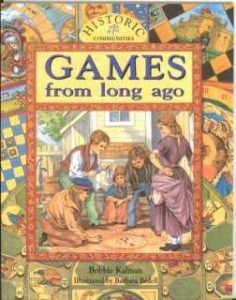 Books for Children Which Bring American History to Life: An introduction to living history books by Bobbie Kalman with color photographs that engage all ages as they explain American life in the colonial and pioneer eras. These are the books to keep handy at home for children who get stuck while doing their math homework and for those who get all their education at home. They are also handy for adults and college students. 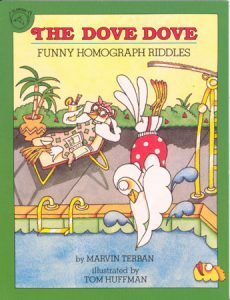 Marvin Terban’s books about language These books use cartoon style illustrations to help children and ESL students learn English idioms, figures of speech, homophone, and other tricky bit of language that often confuse people. 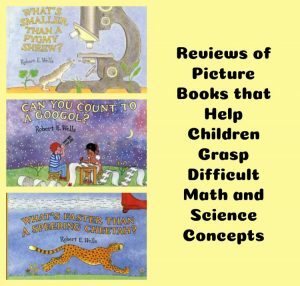 Reviews of Picture Books for Teaching Difficult Math and Science Concepts: These books use humorous illustrations in story form to help children grasp the ideas of size, distance, speed, weight, and numbers. Kathryn Stout’s, The Natural Speller. Murder: True or Fictional? Discusses the differences in how true murder stories and murders in novels affect readers. Should You Buy a Kindle Paperwhite 3G? It took me a long time to decide to buy a Kindle at all. Here’s my honest review of the one I picked.